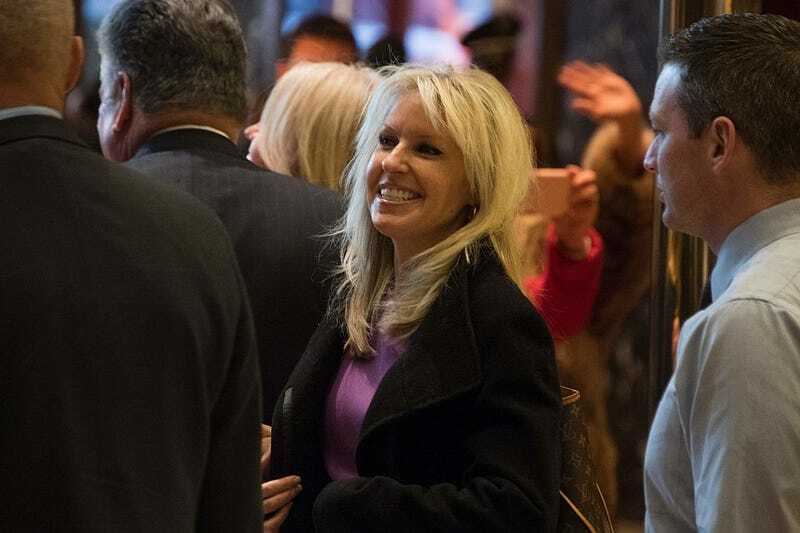 Monica Crowley, the author and television personality touted for a senior communications position in Trump’s administration, is bowing out of the running for that role amid reports that she is a habitual plagiarizer. According to CNN, Crowley’s 2012 book, What the Bleep Just Happened, is full of unattributed-writer fouls. At last count, there were more than 50 instances in her book in which Crowley used someone else’s language as her own. But that is not all. CNN also found that she plagiarized passages in her columns for the Washington Times and in her 2000 Ph.D. dissertation from Columbia University. A Columbia University spokesperson told CNN that a review of Crowley’s dissertation would be kept confidential.